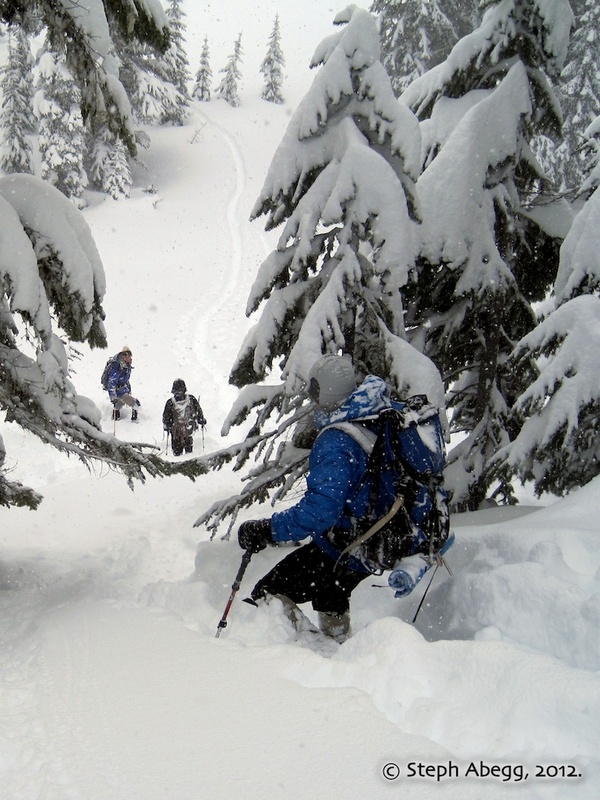 A few feet of fresh powder and heavy snowfall predicted for the day, sounds like a good day to play in the snow. 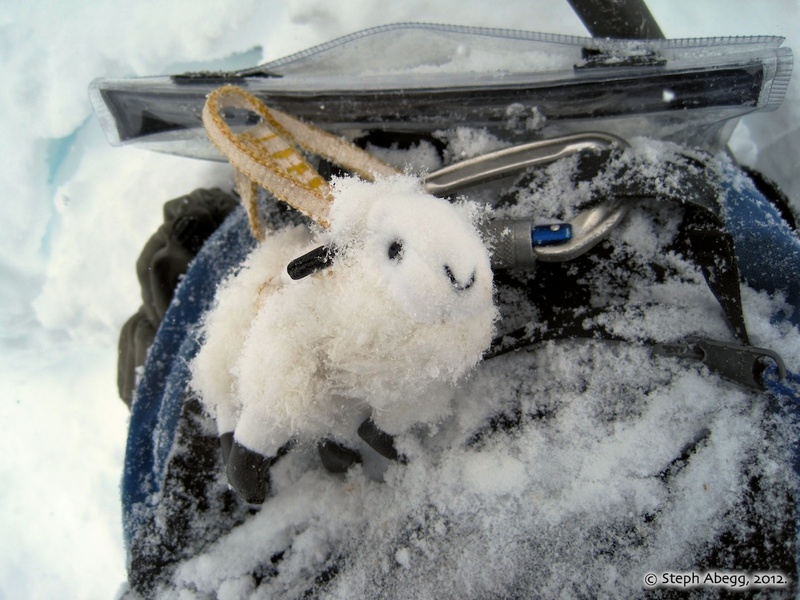 The NOAA point forecast: "Snow showers...Chance of precipitation is 100%. Total daytime snow accumulation of 5 to 9 inches possible." Sounds like a good day to play in the fresh snow! 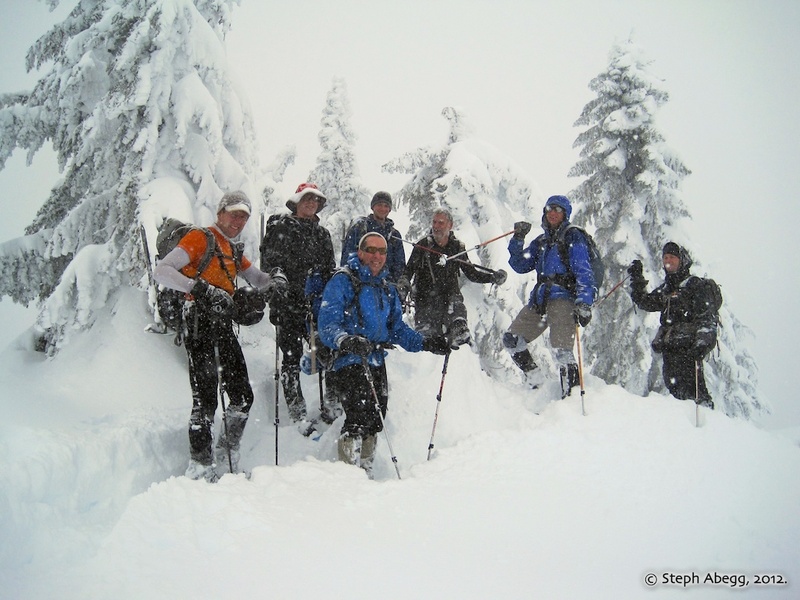 So, I joined seven friends from Seattle on an avy-safe snowshoe just northeast of Steven's Pass on HWY 2. Our vague destination was Lake Valhalla, and perhaps a climb to the top of the nearby Mt. McCausland to satisfy the summit-baggers amongst us. 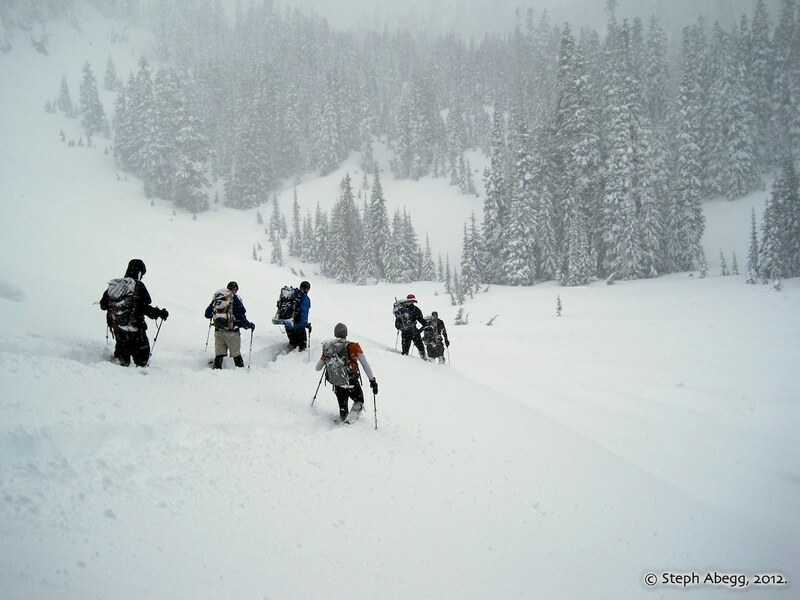 Snow was falling heavily, the visibility was a few hundred feet, and the deep snow slowed us down; plus, we were wary of crossing any bare slopes due to the unconsolidated new snow. So, we just waded along in the peaceful forest on a general upwards track in the Smith Brook valley, enjoying each others' company and summiting several stump and boulder bumps along the way. After about four hours, curious as to how far we had come, we pulled out the GPS and discovered that all that stood between us and the summit of Mt. 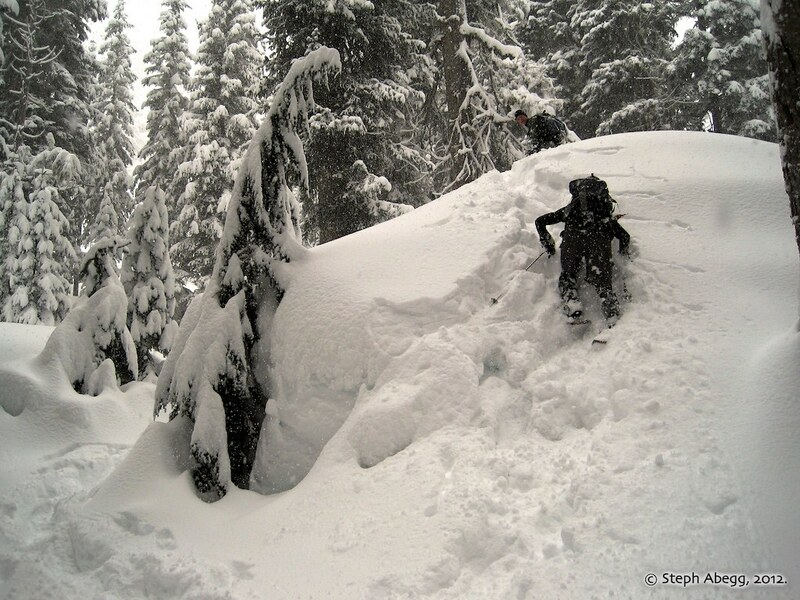 McCausland was a few hundred feet of waist-deep powder. So up we went. A summit photo, and then we began our descent back to the car. Fun day! A special thanks to John, Mike, and Eric for plowing the 5.75 mile trench from the car to the summit. 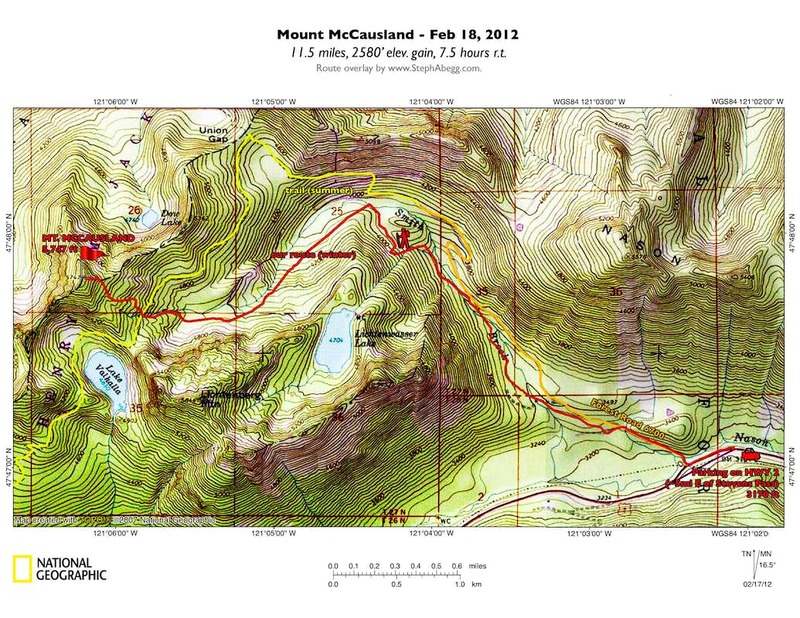 The rest of this page gives a map, a little more route detail, and some photos from our snowy climb of Mt. McCausland. 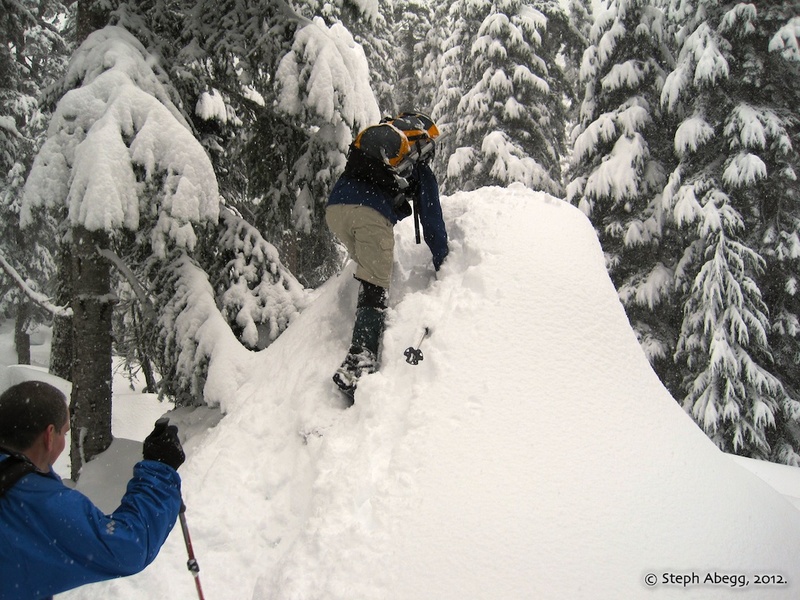 Mount McCausland is a little-known summit situated just a few miles north of Steven's Pass on HWY 2. In this summer this area can be accessed by way of the PCT, but in the winter snowshoers can approach via Smith Brook Valley. 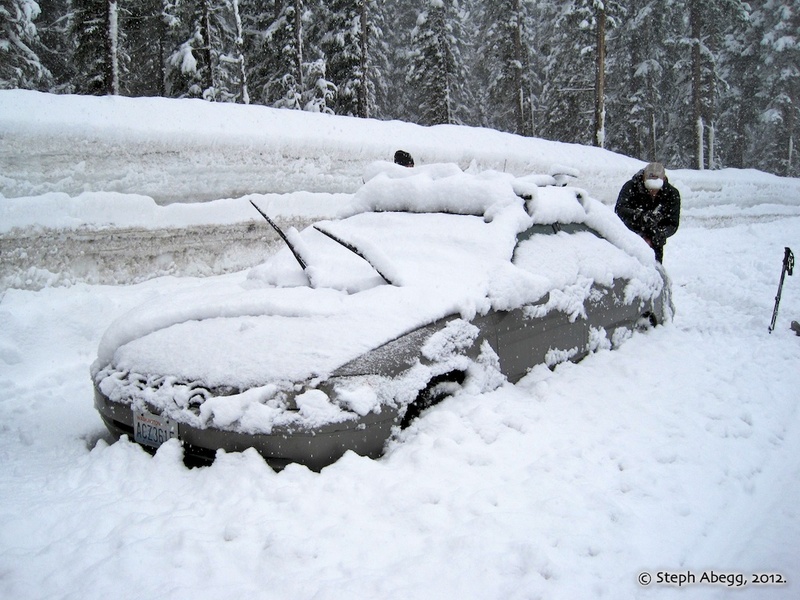 To get to the trailhead, drive east on U.S. Highway 2 to the summit of Stevens Pass and continue another 6 miles east to the Mill Creek exit. Make a U-turn at Mill Creek to get into the westbound lanes of the divided highway, and drive west 1.2 miles to a narrow parking strip on the right (north) side of the highway. 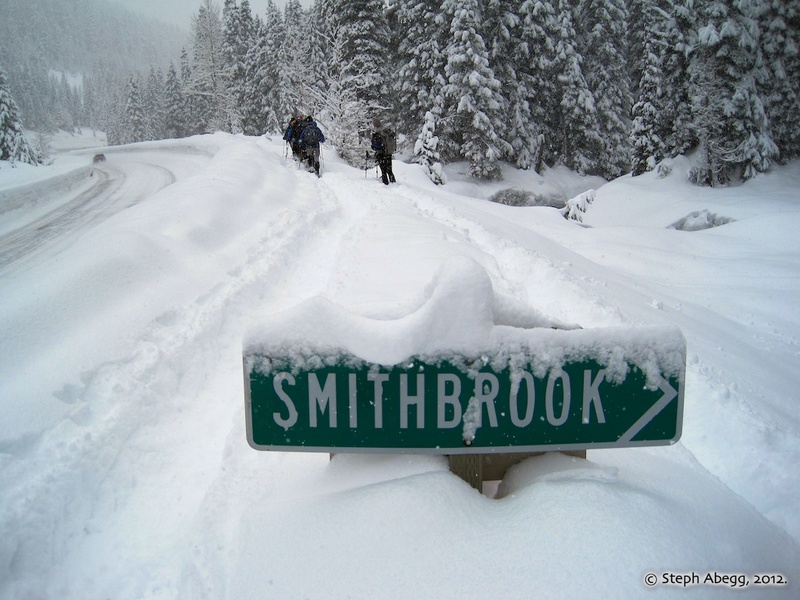 This is the nearest parking area to the Smith Brook trailhead, which is another 0.1 mile to the west. The route follows the narrow Smith Brook Road and when the road ends continues towards the head of the Smith Brook valley. If the clear-cut slopes along the Smith Brook Road are a concern, it is possible to just leave the road (as we did) and hike gradually up through trees towards the head of the valley to the Lake Valhalla basin. Apparently the views are quite good. From the lake basin, one can gaze upwards at Lichtenberg Mountain, Nason Ridge, Union and Jove Peaks, Mount McCausland, Valhalla Mountain, and Skyline Ridge. Due to the weather forecast, I just took along a point and shoot camera. It takes decent photos, and isn't as much of a liability as my SLR. Photos below. Follow the shoulder of the highway west to the start of Forest Road 6700 (Smith Brook Road). Nason Creek, at the beginning of Smith Brook Road. We stayed on Smith Brook Road for about 10 minutes before heading into the forested valley. And second summit. 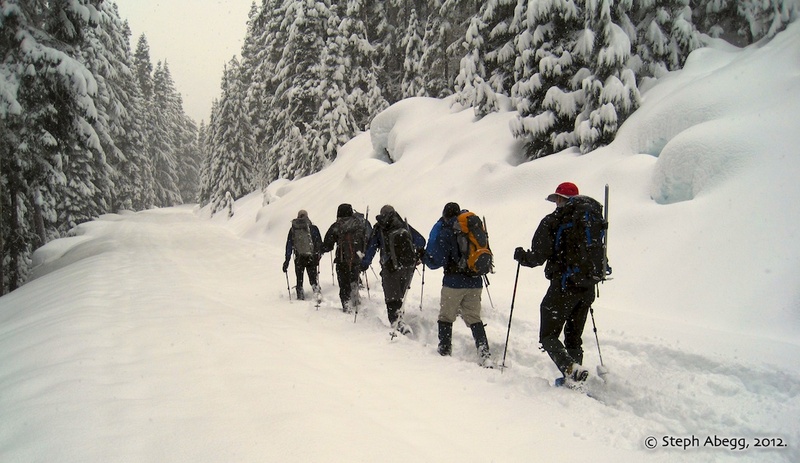 The deep snow must not be enough of a workout. 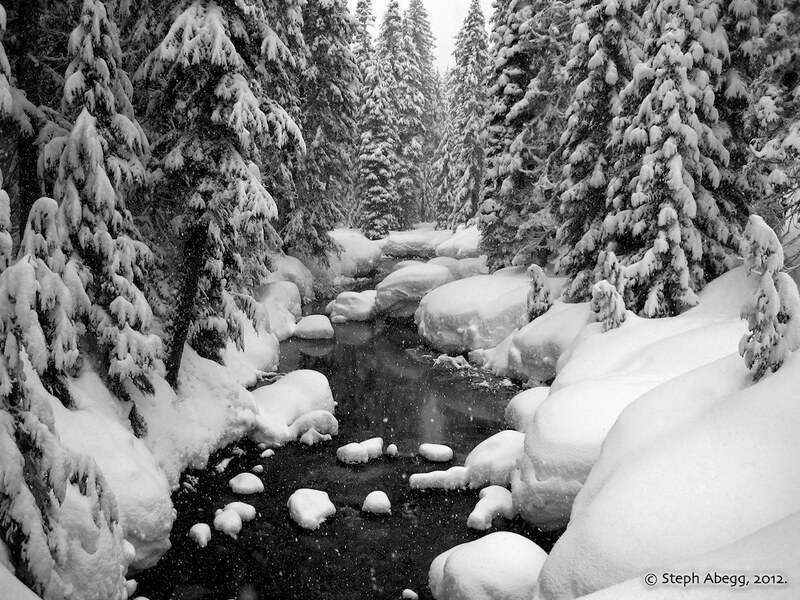 Snowshoeing up the Smith Brook valley. Here we were bee-lining for the trees to avoid the avalanche-prone slopes. We were able to stay in trees all the way to the summit. Heading back down. You can see our snowshoe trench below. 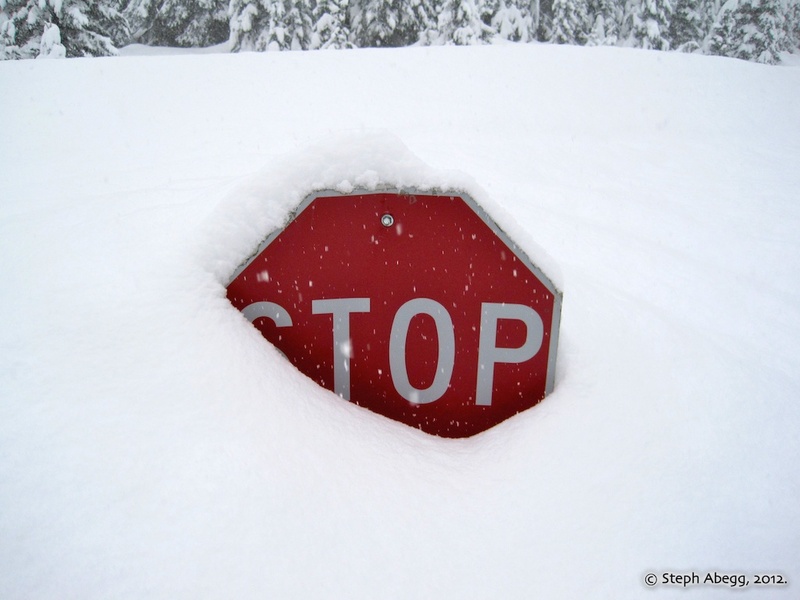 The sign appropriately marks "top" of the snow. The result of parking along a highway that is being snowplowed regularly throughout the day.